I am super excited to be sponsored by the AGIG to attend their first NSW event on the 20th July at 10am at Legacy Martial Arts, 37 O’Connor St, Chippendale 2008, NSW. “Grappling Against Larger Stronger Opponents” taught by the incredibleThiago Braga followed by one hour of rolling with girls from all over Sydney & surrounds. Come along – learn some new skills, meet a great bunch of women & roll with ladies of all different belt and skill levels. I am personally super excited to train and roll with all the ladies and share my Worlds experience! 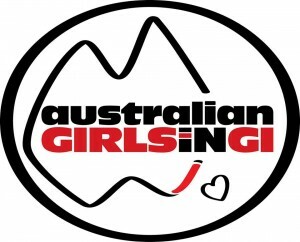 This is a unique and unifying event that ALL girls are welcome to come along to – regardless of age, size, experience, club or affiliation. So we can all get to know each other better & build a strong community ALL attendees, partners & friends are invited to join us for a long lunch after training at The Broadway Lounge nearby. Also, if you are around Sydney on Sunday the 21st July, Jess Fraser is running a FREE Female Only Self Defence Workshop at Gracie Humaita. This is not to be missed! Jess is a great teacher with a ton of experience. Learn practical and realistic skills to improve your personal safety in a fun and supportive environment while supporting a great cause! This 3 hour female only workshop will provide you with tools and skills to greater improve your safety and general awareness both in the community, in the workplace and at home.